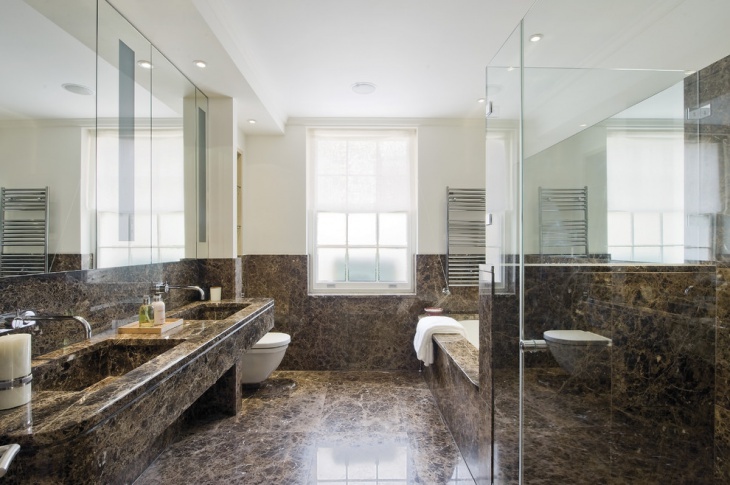 Granite has a great range of stunning designs that feature special characteristic such as specks, veins and a huge variety of colors that bring you a natural look. 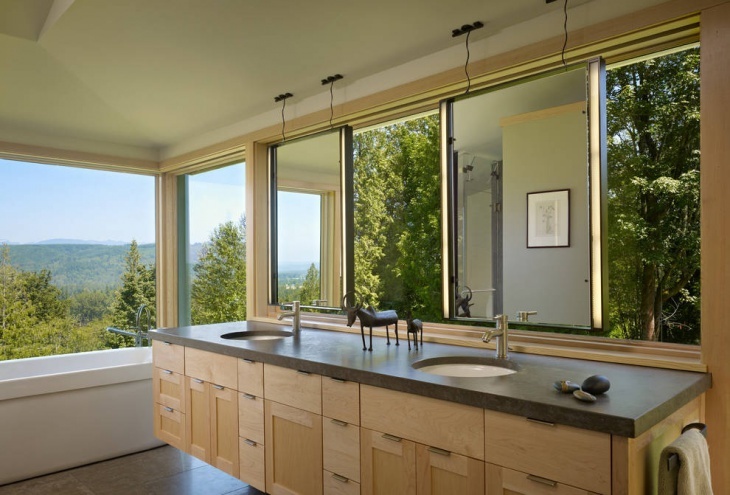 These countertops are resistant to scratches and stains making them a good investment. 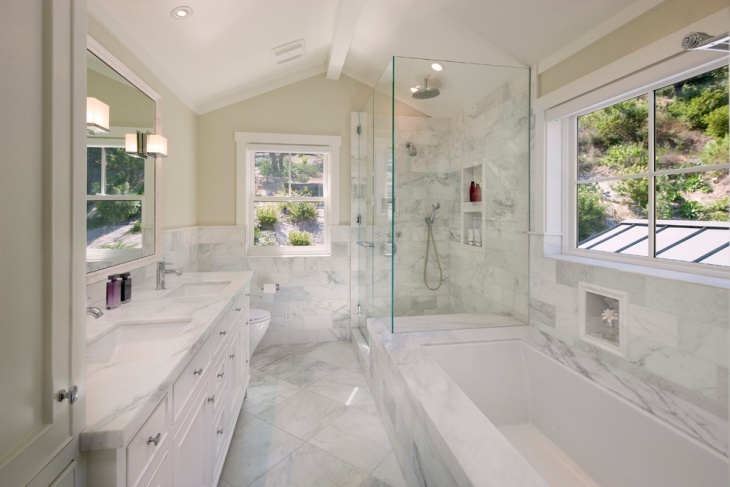 Marble will give a high-class beauty to your bathroom adding a timeless touch. It is available in various colors to choose from while you can also choose a design with sparse or heavy veining to add character and style. 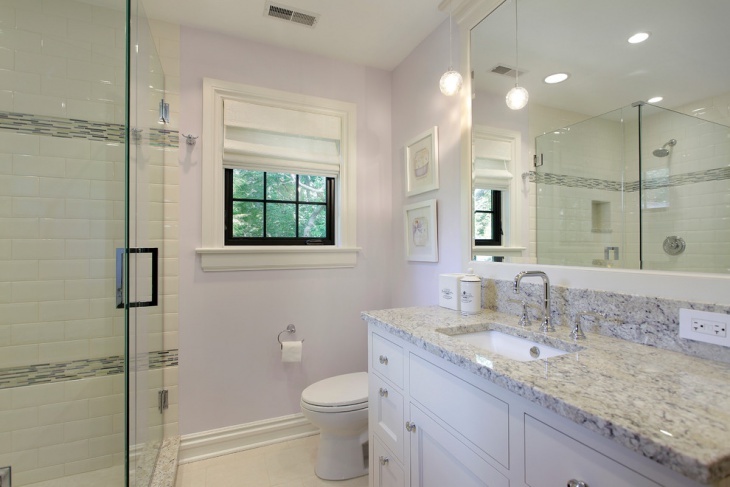 Countertops come in various sizes to fit your every need. 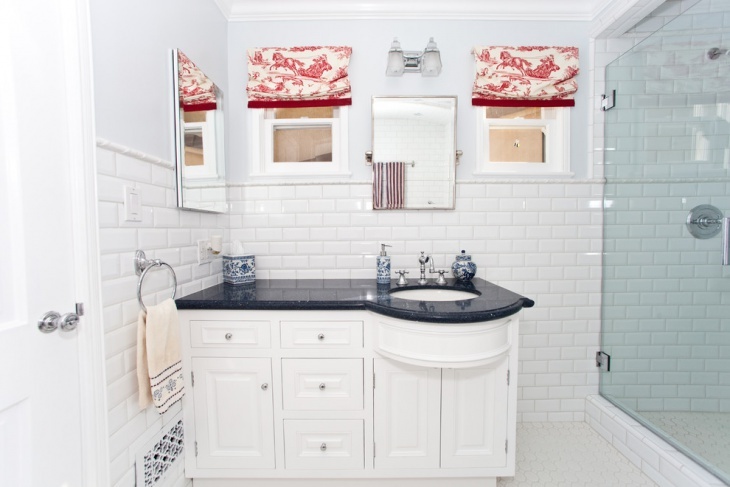 A small bathroom needs a stylish countertop design that will make the space look perfect despite the lack of space. You can choose any design you like without a care. 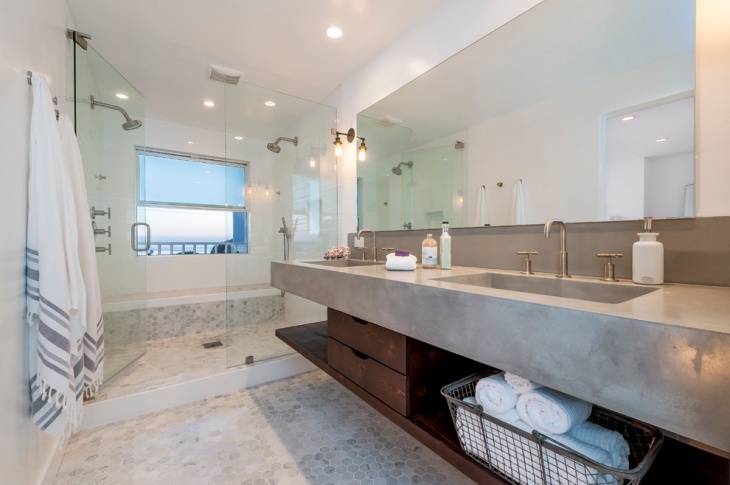 Concrete might seem the last material to choose for your bathroom, however, you will be pleasantly surprised of the outcome. 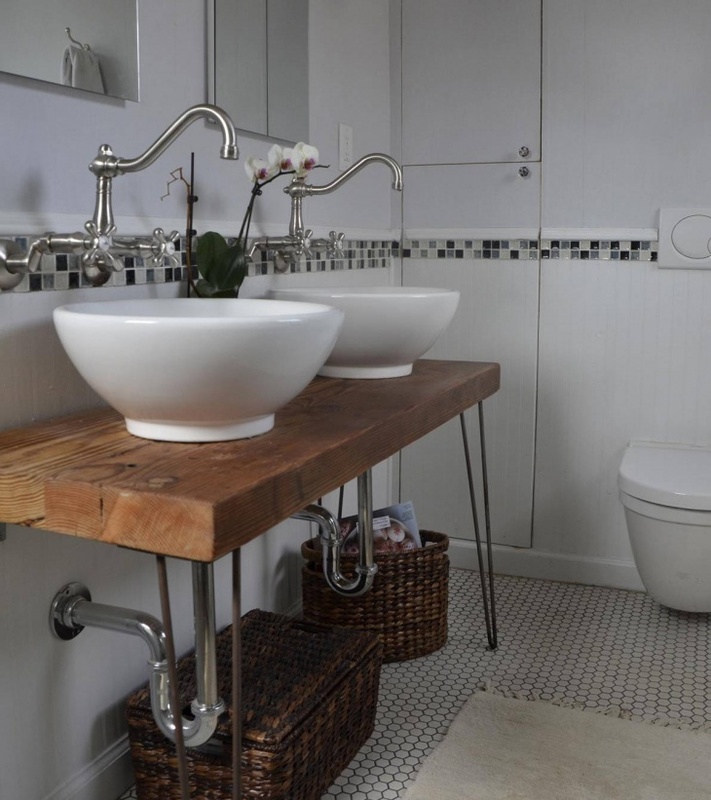 You can choose this countertop for rustic or industrial styles that come with a built-in sink design to complete. 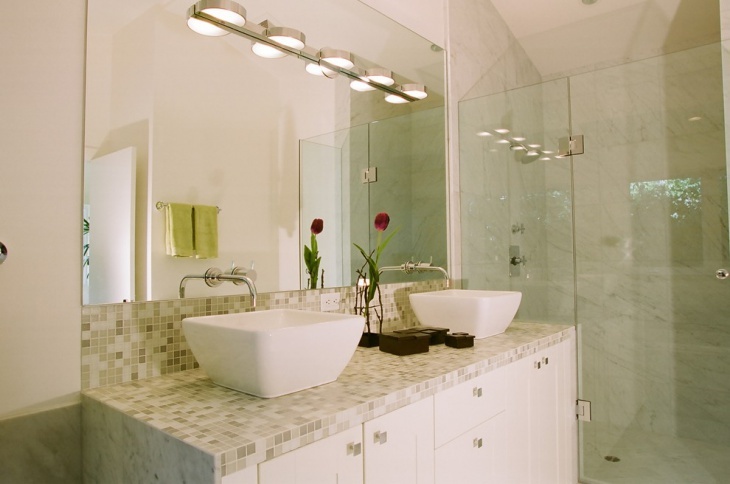 Mosaic designs can give you stunning looks. 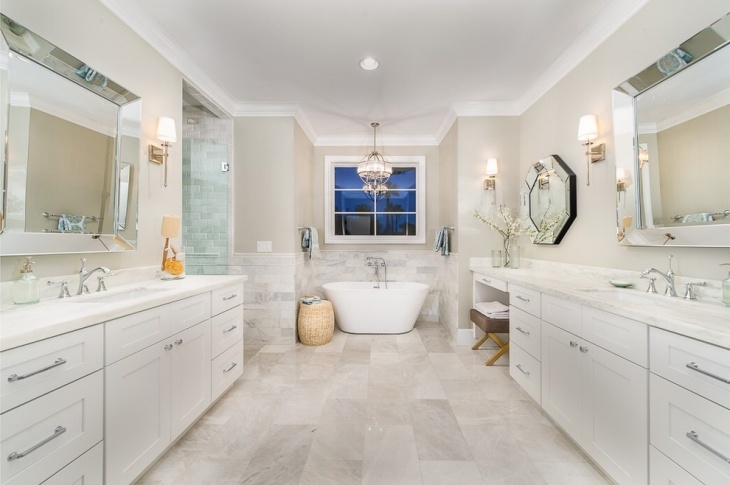 They fall under the tiled countertops category bring you a stunning combination of materials and colors that make your bathroom look interesting. In this, you can pour all your creativity creating something extraordinary. DIY projects for countertops fall on the materials you choose. 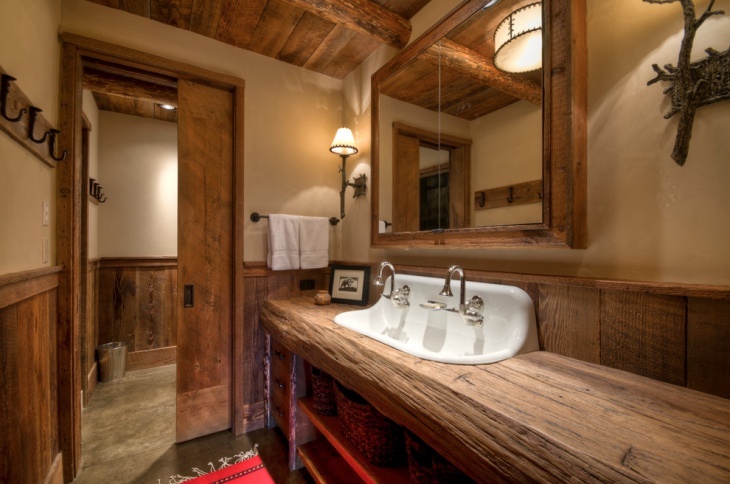 You can find an old piece of wood that would make a stunning addition to a rustic bathroom design. Mosaic designs are also a creative DIY that will look fantastic. 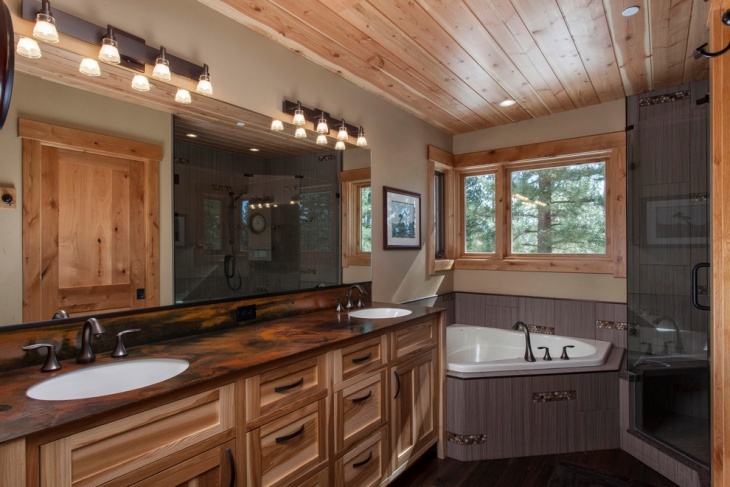 Wood is one of the most preferred materials for countertops in rustic type. 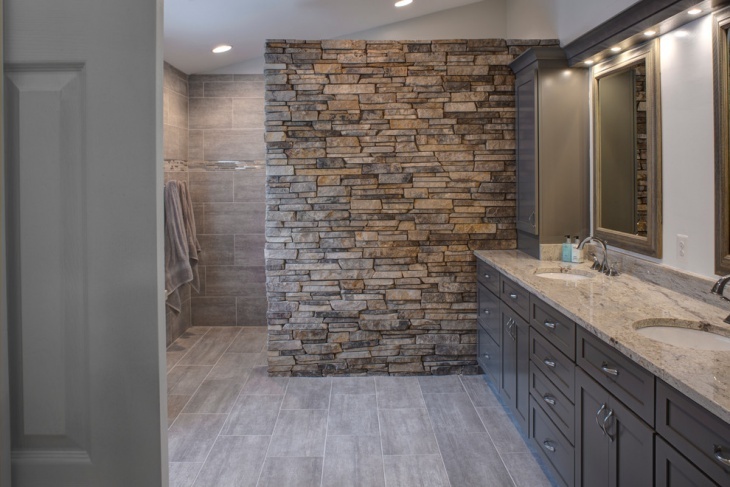 You can find many designs that range from polished wood to recycled ones that make the space look warm while adding rusticity and vivacious tone. 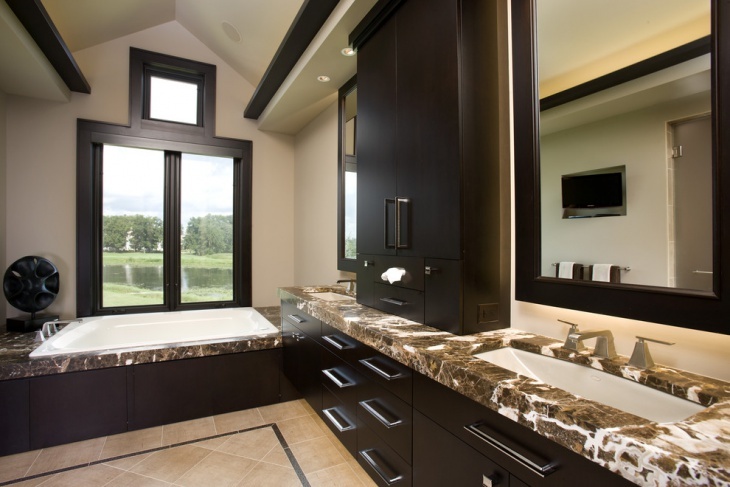 Depending on the style of your vanity you need to choose the right countertop design that will enhance its style. 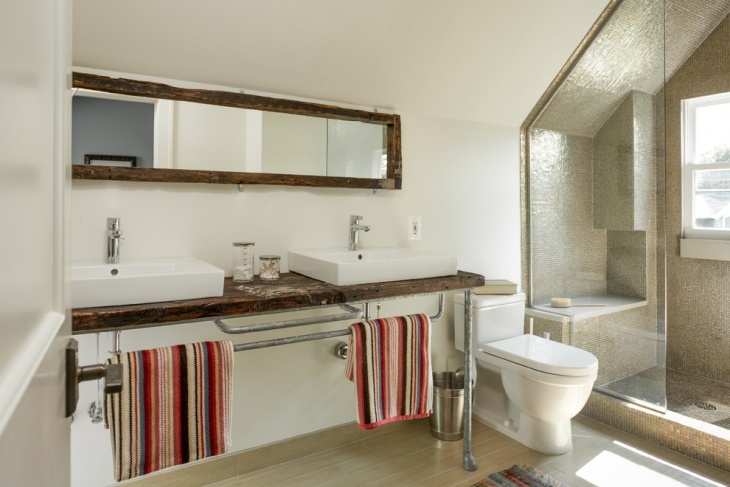 For a rustic style, you can go for wood or for concrete countertops that will look fantastic. 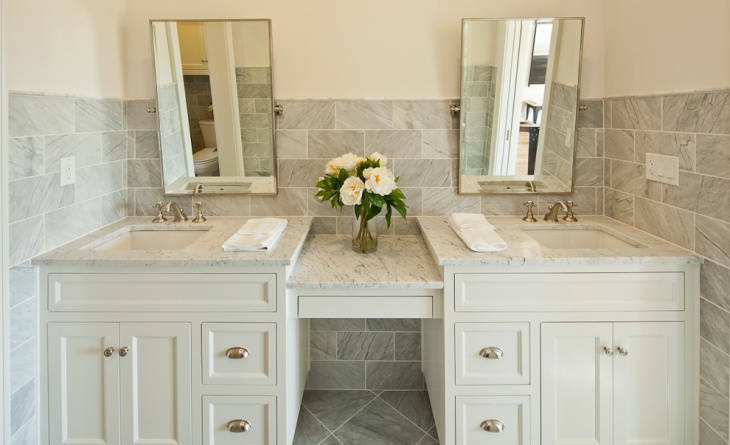 If the vanity is a classic or antique design then you need a wooden countertop in a posh finish to add character. 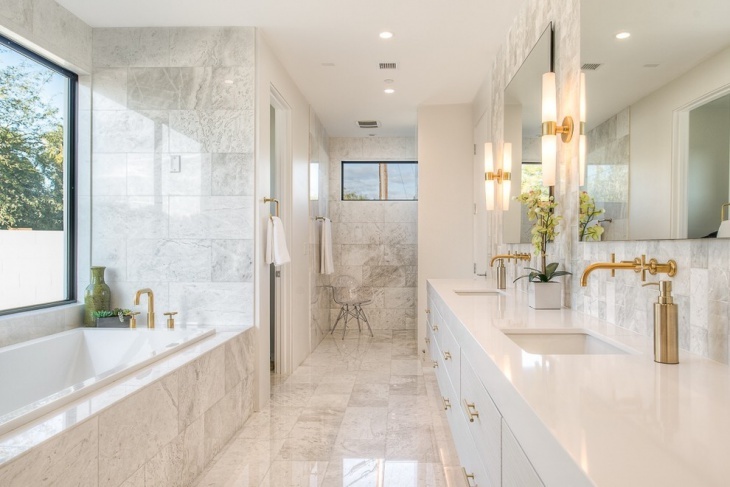 For a luxurious look, you can go for marble or limestone in extra polished quality. 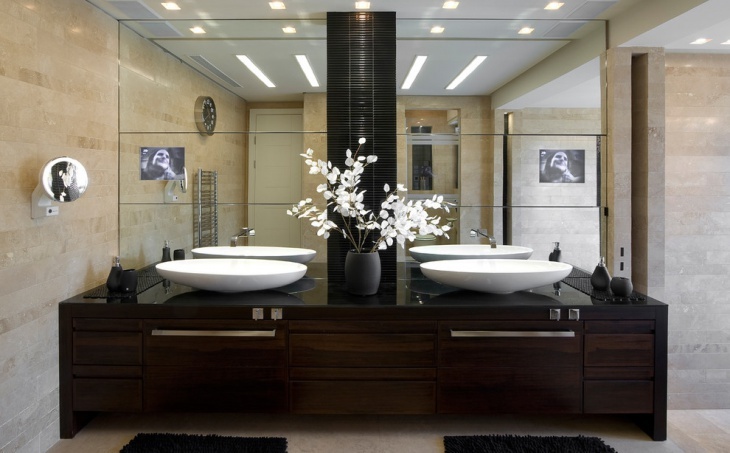 Bring a different style to your bathroom with a remarkable piece for your bathroom remodel. 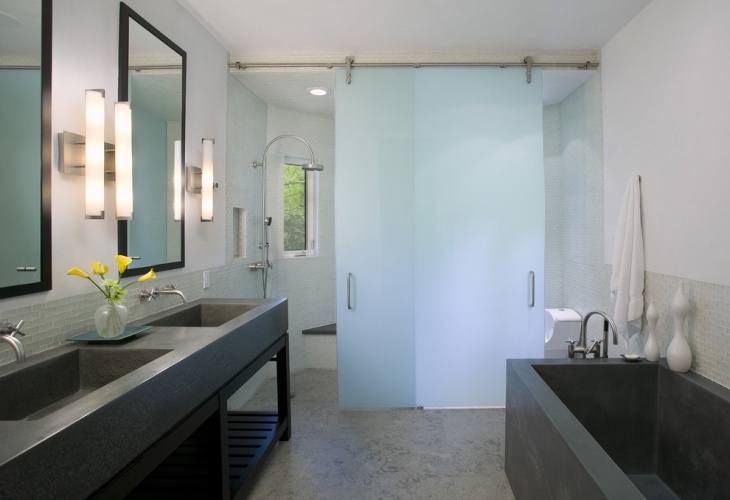 Like concrete countertops, you have a great range of materials to use while also incorporating materials that are out of your comfort zone to bring a stunning look in your bathroom area making it glow.